Most automobile accidents are caused by human error. All motorists have a legal duty to operate their motor vehicles with ordinary care, meaning that they must obey the traffic laws and to drive cautiously. Speeding, running red lights or stop signs, driving the wrong way on a one-way road or driving too closely are all examples of negligent conduct that lead to most car accidents. In other cases, however, a defect in the car’s design or manufacture leads to serious injuries or deaths. All car manufacturers are required to design and to produce motor vehicles that meet certain minimum standards regarding performance and safety. Like any driver, a car manufacturer certainly has an obligation to the public to design and manufacture cars that are safe and do not pose an unreasonable risk of harm. For example, Toyota has recently found itself under fire for failing to equip its vehicles with electronic throttle systems to have a “brake to idle” override that would allow motorists to control their cars if there is a sudden acceleration. Many times, recalls are instigated or letters are sent to car owners advising them to have a certain defect repaired. Unfortunately, not every owner receives such a notice. In other cases, the car owner does bring the vehicle to the dealer or manufacturer to be fixed but the problem is not remedied. If the manufacturer was aware of complaints regarding a certain feature of the car and failed to remedy the defect by incorporating in its vehicles a safety feature that would have rendered the car safer, it may be liable for failing to exercise ordinary care. Any claim against a car manufacturer can be difficult to prosecute. Contact an experienced and resourceful Boston car accident lawyer to discuss your legal options. What is a Safety Recall? Once the car manufacturer or the National Highway Traffic Safety Administration (NHTSA) discovers a safety flaw, it must notify the vehicle owners and provide a remedy. The flaw must pose a safety risk and exist in a group of cars with the same design or manufacture. The recall must identify the defect, the danger it presents, any events that resulted in the recall, the available remedy and when the recall and remedies are to take place. A remedy can consist of a free repair, replacement of the car or equipment or a buy-back of the car. Should the remedy be ineffective, the NHTSA can require the manufacturer to provide a more accessible and effective one. The decedent’s estate can also bring a survival action to collect those damages the decedent would have collected if he or she had survived. These include medical expenses and pain and suffering. Injury claims involving recalled car accidents are often difficult to prove. Car manufacturers are defended by teams of well-financed and aggressive defense attorneys whose tactics must be met and challenged by an attorney who has had success in handling such cases. 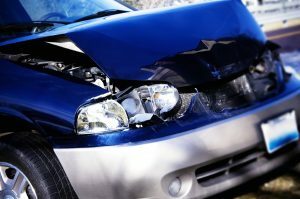 If you live in the Boston area and you or a loved one was injured or killed in an accident involving a defective auto part or car involved in a safety recall, call Boston car accident lawyer Neil Burns and Roshan Jain for a free consultation regarding your claim.